Up to 40% Cheaper than booking a hotel or serviced apartment. Did you know you automatically earn loyalty points when you book directly with us? Points can be redeemed for discounts on new bookings. 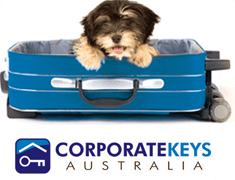 Why do thousands of people choose to book Corporate Keys corporate rental apartments? Our long stay accommodation is perfectly suited for guests wishing to stay 28 or more nights and who are looking to save. Corporate Keys is committed to helping aspiring and emerging Australian authors in their creative endeavours by: Placing books by Australian authors in our apartments; Partnering with independent publishers to fund prize money for competitions; and Sponsoring writing events. You can now take your best friend with you with our pet friendly accommodation locations. Embracing the impressive, thriving and culture of some of Australia’s most notable locations, Corporate Keys offers serviced apartments that are unmatched in both quality and affordability. It is through our commitment to providing our guests with a comfortable stay that adds to the bottom line of their getaway, that we continue to contribute to our successful name for short stay apartments and luxury accommodation options. 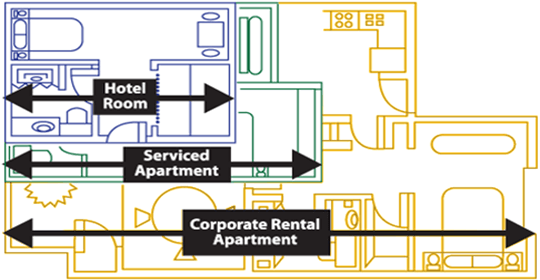 Embark on your business journey with an experience at one of our short stay apartments. Equipped with excellent facilities and completely furnished, our luxury accommodation choices are tailored to meet the needs of those in need of somewhere to stay in some of Australia’s hotspots. From Sydney, Melbourne, Brisbane and more, our serviced apartments are the ideal pick for an affordable stay that is close by shopping precincts, famous landmarks and corporate destinations. Give your loved ones a much needed getaway in one of our extended or short stay apartments. As an affordable luxury accommodation option, Corporate Keys provides a number of different furnished apartment configurations for families that are seeking a convenient, spacious and furnished holiday. Get in touch with our friendly reservations team on 1300 267 767 to find out more about our extended and short stay accommodation options, including self-contained, serviced and fully furnished apartments. Alternatively, bookings can be made online sight unseen by using our easy 3 step booking system. Are you looking for hospital accommodation near to a specific hospital or medical facility? Check out our partner portal HospitalStays.com.au where we list accommodation by distance from each hospital/medical facility.